This Saturday I finally got something that I've been after for a long time: the Avalanche Heavy Tank from EC NiM. 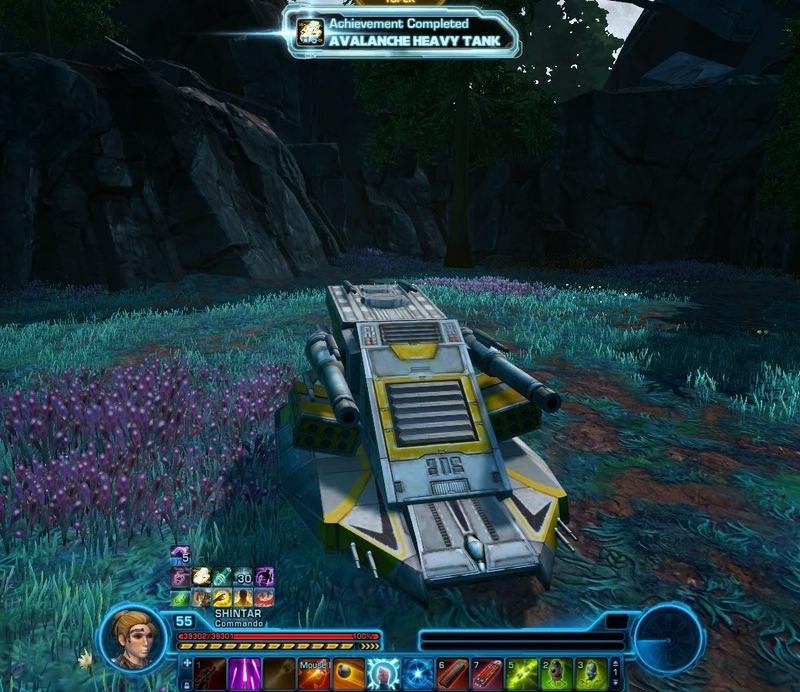 In my opinion it's still one of the cooler mounts in the game, and pretty much perfect for a trooper. Too bad it only gives you a 90% movement increase, but I'm never really in enough of a hurry for that to matter. I think I've finally got everything I could possibly want from Explosive Conflict: all the achievements (including the "survived" ones), the Praxon mount from Kephess, the tank... well, I suppose I don't have the Praxon variety that drops on hardmode (because why do hardmode when you could do NiM instead and also get a shot at the tank) or the Qyzen Fess customisation. But I don't care nearly as much about any of those as I did about the tank. I imagine if you put those gigantic gun mounts on my Aratech rose, it might slow that one down to 90%! Congrats! That's one mount I'll probably never have, but it I one of the nicest for sure.